At Miranda, Magden & Miranda, our mission is to serve each of our clients’ legal needs with the highest levels of attorney support available. Your Miranda, Magden & Miranda attorney will also aim to help you effectively navigate the legal system quickly so that you may reach self-sufficiency and the better days that are ahead without continued court involvement. We offer advocacy in Bankruptcy, Family Law, and Immigration Law (see our Practice Areas for more details). Our goal is to offer the highest standard of counsel available to help you navigate through what may be rough waters ahead. We provide each client with personalized legal services at an affordable rate. Miranda, Magden & Miranda attorneys believe that the law should be made to assist you. From the very first meeting, Miranda, Magden & Miranda attorneys will provide the most up-to-date legal advice and explain each step as you progress through the legal issues you face, including providing services in Spanish and Portuguese. The attorneys at Miranda, Magden & Miranda received their legal educations from the top law schools in the nation. Your legal options are evaluated by exceptional attorneys committed to your success. Your case before the court will be well-informed and well-constructed so it serves your legal goals. Needing legal assistance can be difficult for both you and your family. We believe it is our role, and our profession, to help you and your family through difficult times and on to better days as soon as possible. Our personnel is our strength. We employ highly educated and skilled individual attorneys and paralegals at our law firm to provide our clientele with the utmost attention, devotion, and dedication in Monterey, Santa Cruz, and San Benito counties and beyond. We care for, and about, our workforce, and empower each individual lawyer to make decisions and provide the best legal advice for your legal matter. We provide the expertise and effort to meet or exceed each of our promises; otherwise, we do not make them. Our creed as professional service providers and attorneys is to do what we say and to inform our clients as we do. Quality of service is the foundation of our practice. We use advanced tools and techniques to track our projects to ensure that we deliver proper legal advice and a strong solution commensurate with the long-term interests of each client. We get it. Most people turn to a lawyer reluctantly. Lawyers can be expensive, and they represent a legal system that is difficult to understand. Nevertheless, when the most important things in your life are at risk, a good lawyer who cares about your situation can make all the difference in the world. We believe the law can be made to work for you in your time of need. Miranda, Magden & Miranda was founded by attorneys who believe that the law, when practiced with the utmost care, can be a beneficial force that helps repair people’s lives. Contact Miranda, Magden & Miranda for a consultation today in your Family Law, Immigration or Bankruptcy matter. Miranda, Magden & Miranda lawyers are Salinas and Monterey attorneys with exceptional legal experience and education. Our attorneys give each case their full, personal attention. Our goal is to help you and your family reach better days ahead. It’s why we went to law school. It’s why we do what we do in Family Law, Immigration Law and Bankruptcy. Ms. Miranda earned her Doctorate of Jurisprudence from the nation’s number one ranked Yale Law School. Prior to her legal studies, she completed both her Master’s Degree in International Policy Studies and her Bachelor’s degree in Economics from Stanford University. 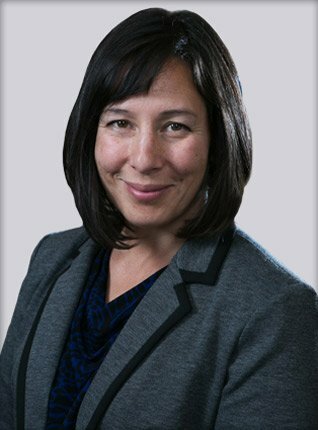 Ms. Miranda is an upstanding member of the Monterey County Bar Association, American Immigration Lawyers Association, and is admitted to the U.S. District Court, Northern District of California. Salinas and Monterey attorney. 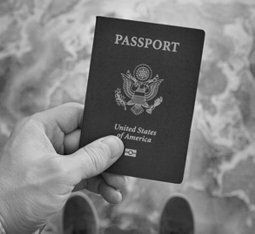 Due to her extensive experience in immigration law, she has been asked to speak publicly about the matter with groups such as the Middlebury Institute of International Studies at Monterey. Ms. Miranda has an impressive resume both in and out of the law profession. She was a Finalist for the White House Fellowship Program under the Obama Administration and a top ten “Latina of the Year” for Latina Magazine in 2004. Helping families resolve their legal issues is not just a profession, but a passion for Ms. Miranda. She has volunteered her legal services with the CARA pro bono project, which provides free legal representation to families in deportation centers. Ms. Miranda has also served as project manager for a non-profit dedicated to assisting at-risk youth in Colorado. A daughter of immigrants, Ms. Miranda represented the United States in freestyle wrestling in the Olympic Games, securing the first American medal in her sport. She now continues her passion for supporting immigrant communities through her legal work. When not in the courtroom, Patricia enjoys camping, tennis, and writing lists. Patricia is trilingual in English, Portuguese and Spanish. Mr. Weikel-Magden graduated from the University of Virginia School of Law. Prior to law school, Mr. Weikel-Magden earned his undergraduate degree from Stanford University in Human Biology. Mr. Weikel-Magden is a published author and former business executive. He previously served as a senior manager for two start-up consulting companies prior to turning his attention to the law. Mr. Weikel-Magden’s legal practice focuses in Family Law and Civil Litigation. 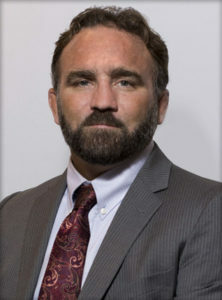 Working in areas such as custody, divorce, and domestic violence, he has built a reputation as a compassionate attorney who finds effective solutions to meet each clients’ needs. 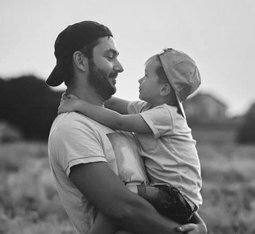 Mr. Weikel-Magden understands that successfully resolving these delicate matters is crucial to helping families move forward and protect their emotional and financial wellbeing. He is a member in good standing with the Monterey County Bar Association and is admitted to the U.S. District Court, Northern District of California. Salinas and Monterey attorney. Levi is a father and husband, and he has competed and coached at the highest levels of combat sport. When not in the courtroom, he enjoys jiu jitsu, white water rafting, writing and traveling with his children. 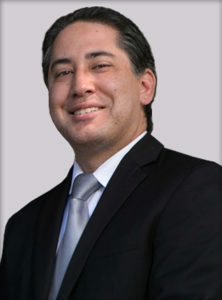 Michael Miranda earned his Doctorate of Jurisprudence from Santa Clara University School of Law. Prior to his legal career, Mr. Miranda graduated from McGill University, a highly regarded, international institution in Montreal, Quebec, Canada, earning Bachelor’s Degrees in both Political Science and English. Mr. Miranda’s legal work has been focused in the specialized fields of both bankruptcy and immigration. He has built a reputation in the legal community for diligence and honesty and empowers his clients with skilled guidance. Mr. Miranda is proud to assist families and individuals facing complex legal issues and help them evaluate all legal options for resolving their case. 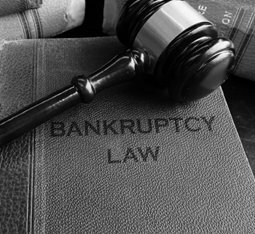 Mr. Miranda has given numerous presentations in the Salinas Valley community regarding bankruptcy and consumer protection. He is a member of the Monterey County Bar Association and is admitted to the U.S. District Court, Northern and Eastern Districts of California. Salinas and Monterey attorney. When not in the courtroom, Michael enjoys volleyball, bowling, hiking, and collecting newspapers from around the world. Michael Miranda is trilingual in English, Portuguese and Spanish. We prefer to return your contact directly and promptly by phone. If this is not a safe method of contact, please state so in your message. We look forward to meeting you.